Wecooker Portable Charcoal BBQ has beautiful and generous design, oven inside and outside are adopted the technology of enameling to deal with that it is shiny bright ,smooth and very easy to clean. Using the cloth to gently wipe, can be bright and perfectly clean. So convenient to carry out, do not have to worry about Electric leakage and other issues. High precision lock, fit after sealing so that it is clamping stability,easy to use and would not to hurt the hand. The handles are made of the international standard high temperature materials, with excellent thermal protection function. Braised furnace,make the food more delicious and time-saving,Unique roast stew make a lasting aroma and original. Super large 6 hole position design, adjustable pore can be flexibly adjusted rotation, make it easy to adjust the volume of ventilation. The rotating blade using heat insulation material, anti hot design that do not have to worry about scratching your hand. Adjustable air inlet hole: shaft are provided with adjustable paddles hole, can adjust the temperature of the furnace, control of the delicacy`s temperature. The Charcoal Grill Stove is application for outdoor ,balcony or outdoor Picnic Bbq Grill .It`s the best gift for yourself or families.You deserve it. Product size: 26.6"(L) x 16.6[(W) x 15[(H). Container qty:2,176 PCS/45`, 1,928PCS/40`HC, 1,652PCS/40`. Looking for ideal Tabletop Charcoal Grill Manufacturer & supplier ? We have a wide selection at great prices to help you get creative. All the Portable Charcoal Grill Foldable Leg are quality guaranteed. 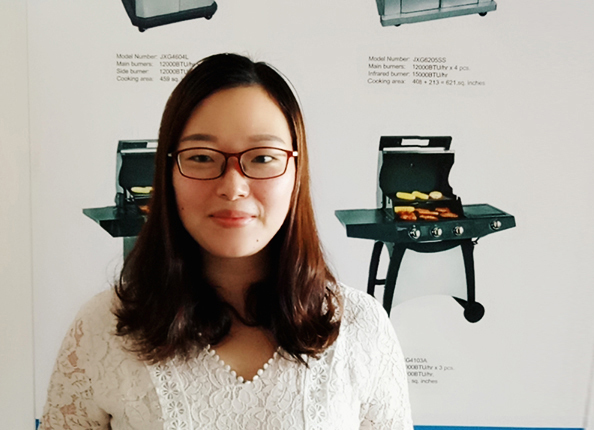 We are China Origin Factory of Folding Charcoal Grill Mini. If you have any question, please feel free to contact us.